The Pneumatics Add-On Set is part of a complete package. 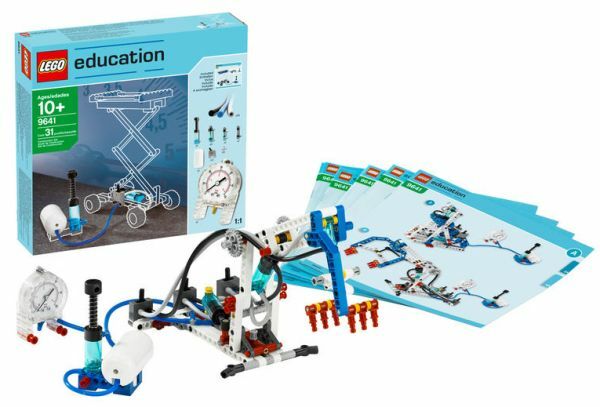 Combining the set with the Simple and Motorized Mechanisms Set enables you to carry out engaging cross-curricular activities. Your students will explore power systems and components, sequence and control, pressure, prototyping, kinetic and potential energies, and much more. The set and corresponding Pneumatics Activity Pack feature 14 principle model activities that introduce students to the basics of pneumatics. In addition, four main models and activities and two additional open-ended problem-solving activities thoroughly educate students about pneumatics. The set features 31 specialty elements including pumps, cylinders, valves, an air tank, tubes, and a manometer.